Not only you will feel better, but these antioxidants have strong impact on skin health to help you to look healthy. provide strong nutritious elements which give energy and viability to your body. Nature’s Sunshine has reaped the most healthful fruits and natural extracts from the different countries of the world and has united them in this unique tasty, nutritious juice which has been specially developed for neutralisation of surplus of free radicals. Zambroza’s synergistic mix of ten strong components contains mangosteen, wolfberry, apple extract, blueberry, concord grape, grape seed, grape skin, green tea, red berry and raspberry. Our world is full of free radicals, all of them are near us. By the way, even life-promoting functions produce free radicals inside of us. Every day and every moment your body has a fight against a number of substances that damage our cells. They are called free radicals. Pollution in its many forms, chemical impacts, sunlight, pressure and some other factors output or trigger such molecules. To fight with free radicals our bodies needs antioxidants. Antioxidants represent natural organic components owning some extra electrons. Antioxdants are stable regardless of additional electrons, hereby they can freely neutralize the damaging chain reaction of free radical creation. 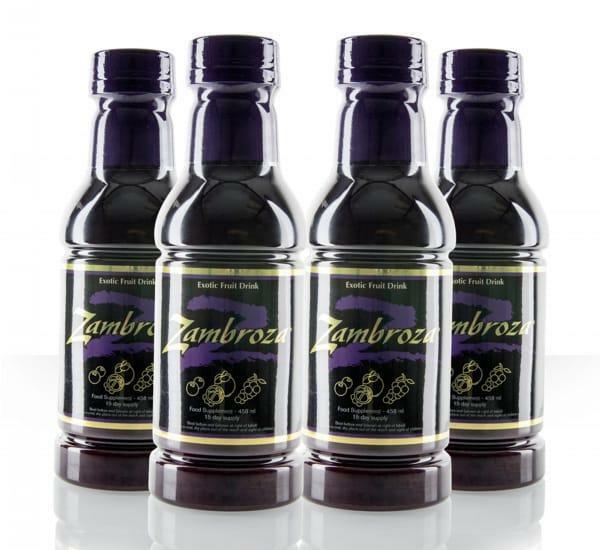 Brunswick Laboratories, studied Zambroza to confirm the exclusive quality of a product. Certification seal of Brunswick laboratory is «a visible symbol antioxidant qualities", the founder and chairman Jim Nichols says. ORAC (Oxygen Radical Absorption Capacity) is a measure which calculates ability of a product to neutralise and "smooth out" free radicals. The obtained data proves that recommended amounts of Zambroza may effectively struggle against various types of free radicals. Independent clinical researches show Zambroza has much higher ability to neutralise free radicals, in comparison with products-competitors, proving the excellent protective qualities. Not only you will feel updated, but these antioxidants make powerful impact on skin health, helping you to look too big!